As we approach the launch of FAST I wanted to share the first chapter to give you a taste of what FAST is and why it is important. I have also included the foreward by John Spence and the Introduction. Much like Gordon, I’ve spent the last two decades of my life traveling upward of 200 days a year worldwide to help businesses and executives be more successful. From the top of the Fortune 100, to mom-and-pop shops, to brand- new startups, I’ve worked with hundreds of companies that have taught me some incredibly important business success (and failure) rules. I also read more than 100 business books a year, constantly looking for new ideas, tools, and techniques that will work in the real world. The book you hold in your hands right now is one of the few I have read that cuts through the clutter and complexity and helps you run a highly successful business. Several years ago, a Fortune 100 client asked me to put together a keynote address on “The Essence of Excellence.” He told me I would have twenty minutes in front of 1,600 employees and he expected a standing ovation—no pressure. I spent weeks preparing for that brief talk. I called CEOs and successful entrepreneurs I had worked with in the past; I called the presidents of colleges and universities where I had lectured; I looked back over my reading material and notebooks, and boiled it down to what I call the Three Watchwords of Excellence. You must focus intently on your philosophy of success, your strategic plan, your driving vision and purpose. Then you must have the discipline to say no to distrac- tions, and do the things you need to do to pursue your vision. Finally, the results you achieve will be directly proportionate to the amount of action you apply. I developed that idea ten years ago, and when Gordon sent me a draft of this book to read, I realized he had created an elegant process and framework for actually achieving those three steps. It’s one thing to understand an idea; it’s a completely different thing to be able to apply it consistently with discipline. In the following pages, Gordon masterfully illustrates exactly what is necessary to build and sustain a highly successful business. It’s also important to note that he has adhered to what I feel is one of the most important things we can do as business leaders: make complex things simple. I meet so many people who make running their businesses far more complex than needed. They have out-of-control organizational charts, fifty-seven key metrics, fourteen strategic objectives, and a proprietary IT system that’s constantly going down. What Gordon will show you is that simplicity rules! Keep it simple, keep it focused, keep it running smooth and highly profitable. He also addresses the single biggest problem my clients face: lack of accountability and disciplined execution. There is absolutely no shortage of truly bright people, savvy strategists, and highly innovative business think- ers, but thoughts don’t pay the bills. To be successful today, you must be able to take ideas and turn them into action by creating a culture of accountability that is relentlessly focused on delivering the required business results. This book will show you how to do just that. Finally, he covers the second biggest problem that every client I have ever had struggles with: lack of open, honest, robust, and transparent communication (which in large part creates the lack of accountability and effective execution). It is impossible to calculate the amount of time, energy, and money wasted by so many organizations because they do not share the necessary information across their organizations. Knowledge is NOT power, but sharing knowledge allows you to empower other people, which is how you leverage your power. Clear, consistent, and transparent communica- tion is essential to the success of every organization, and Gordon’s going to help you with that too. Get ready to take lots of notes and do some serious think- ing about your business. 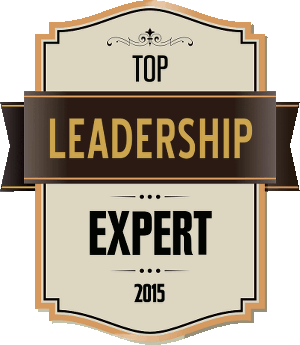 Gordon has compiled twenty years as a global leadership expert into the pages that follow. It’s your job to figure out which ones will work for you and your business, and then apply them with passion and vigor. 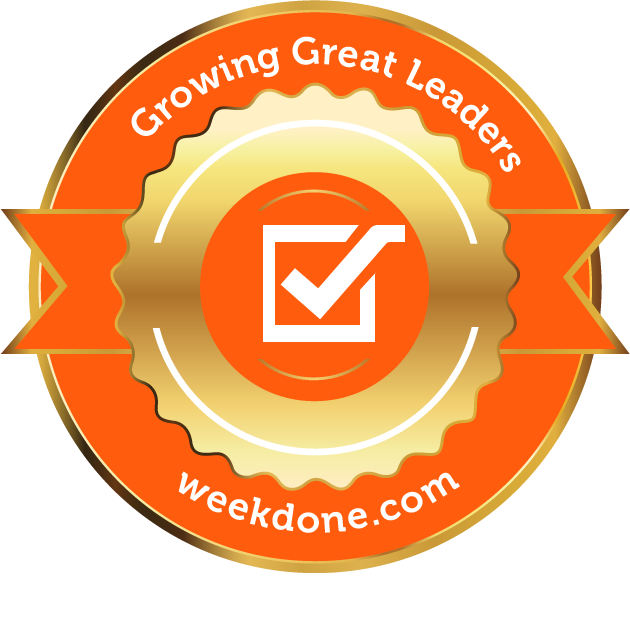 One of the top 100 Business Thought Leaders in America, top 100 Small Business Influencers in America, and top 500 Leadership Development Experts in the World. In two decades of leadership consulting for some of the world’s top companies, I’ve learned a few things. One is that there truly is a formula for success. It’s this formula that will separate the winners from the losers in the decades to come. In the old days everyone wanted to know, “How can we go from good to great?” But a new day is here, and it’s no longer appropriate to ask that question. Perhaps you’ve already gone from good to great. Now what? It isn’t prudent to rest and observe from the sidelines, with competitors lurking in the shadows. Or perhaps you’re involved in turning around a culture, faced with organizational challenges, or in a company that is not even good yet but striving to be. Wherever you are on the spectrum of leadership, you know one thing for sure: if you want something that you’ve never had before, you must do something that you’ve never done before. In the pages to follow, I’ll guide you through the impor- tant management methodology of FAST. FAST—the fast-track strategy to success based on the principles of Focus, Accountability, Simplicity, and Transparency—is not a dry, academic theory. It is an approach that has been tried and tested count- less times, and one that I have seen in action over and over again in organizations around the world. These principles have become the foundation of my life. In large part, they are what have helped to completely transform me from a helpless underachiever to a pas- sionate overachiever. FAST changes individuals. FAST transforms and connects teams. What is the one thing you want to achieve in this com- ing year? Deploy FAST, and I boldly guarantee you will achieve it. The principles in FAST propelled me forward to achieve anything and everything that I set my mind to, from business ventures, to heartwarming sustainable relationships, to marathon medals. Since I’ve immersed myself in these principles, I’ve intro- duced the techniques to my family, friends, clients, and business partners and allies, helping them to streamline their strategies and revolutionize their attitudes in order to attain their own personal and professional goals. For decades, I have used these four principles to revamp underperforming departments and to resurrect failing projects in many different industry sectors. I was always the guy who volunteered, was selected, or was the only person stupid enough to take on the more difficult assignments. You know, the ones everybody else steered away from. These were the jobs that people ran from because they were thought to be too complex, too constricting in their time frames, or just plain impos- sible. These are the kinds of jobs I love. Why? Well, these types of projects and tasks—the ones no one else wants—give you a certain degree of free- dom. You have more liberty to break the rules, change the approach, and take chances that otherwise wouldn’t be possible or acceptable. Furthermore, I know that if you tackle them head-on with a can-do attitude, you’re halfway there. For the most part, we self-prophesize and predict our own triumphs and failures through our attitudes and behavior. Believing that a project is doomed from the get-go is pretty close to signing its death warrant. We’re doing the wrong job. We’re doing the right job poorly. In my experience, the number of these failures could drastically be reduced, if not completely eliminated, by focusing on the four elements that failing businesses seem to lack most: Focus, Accountability, Simplicity, and Transparency. Incredibly enough, none of these businesses stopped long enough to ask a few basic but groundbreaking questions: what, who, how, and how far? Just by stopping to ask these four questions, I’ve im- proved the clarity, communication, and performance of hundreds of businesses. Today, my approach is used to successfully implement multi-million-dollar proj- ects and run multi-million-dollar department budgets. Leadership is ultimately about delivering results and achieving goals. That’s what you get paid for, that’s your calling, and that’s your passion. As you’ll learn in the chapters of this book, there is a key difference between effectiveness and efficiency. One does not automatically equal the other. Performing poorly on the right task constitutes poor effort. Doing a great job on the wrong task results in wasted effort. Doing a poor job on the wrong task is the least useful of all. Yet when you increase both your effectiveness and your efficiency, you achieve excellence—the result of doing the right job extremely well, over and over again. Your implementation of all four interconnected principles— Focus, Accountability, Simplicity, and Transparency— automatically increases both your effectiveness and your efficiency, thereby ensuring excellence. In FOCUS, you’ll learn to distinguish what the “right job” is, and what success looks like to you. It is the first and most important principle, because it determines your effectiveness. You’ll learn the secrets to prioritizing without overextending yourself or your team. You’ll discover how to arm yourself and aim with the very best chance of hitting the bull’s-eye every time. By keeping your eyes on the prize, you’ll always know what you’re aiming for. In ACCOUNTABILITY, you’ll discover the high cost of unaccountability and the immediate benefits of responsibility. You’ll analyze the best strategies to claim accountability, and the best ways to expand a culture of accountability throughout your entire business. You’ll seize control by learning how to prophesy your own success and make that an inevitable reality. Accountability begins with the individual, and it is absolutely imperative for a healthy business. In SIMPLICITY, you’ll see how clear communication always ensures better progress and quicker success. You’ll debunk why we typically resist simplicity, how we underestimate it, and how you can unleash its transformative power—in ten steps with direct results—to completely revamp your life and your business. You’ll instill belief and confidence in your team(s) by learning to communicate simply and clearly, and ensure excellent performance by pointing everyone in the same direction. Simplicity is power. In TRANSPARENCY, you’ll uncover why you are the heart and the head of your business, and how you can use this to your greatest advantage. I will share the risks and benefits of transparency, and show you how to differentiate the two. It isn’t enough to work hard and focus on the right job; you have to understand how to track performance and measure results, further enlightening and motivating the people surrounding you by defining—and approaching—success. Mastering this last principle, you will be able to fully execute the FAST strategy to your best advantage, regardless of your industry. There is beauty, too, in the reciprocity of these principles. Improvement in one principle automatically correlates to other areas. For instance, the simpler we make our approach, the easier it will be for our teams to focus. By improving transparency, it’s easier to hold people accountable; we’ll have clear measurements of their performance and results, and can provide feedback as to whether expectations and time frames are being met. Given the nature of this pattern, even small improvements in each area can snowball to greatly increase overall performance. Simple, right? Too easy to be true? Remember that “simple” is not “easy.” FAST is not a quick-fix solution, although it does reward you with several immediate benefits. It isn’t the aspirin you take for the pebble in your shoe. It’s the sitting down and extracting of the pebble. It takes more time, more dedication, and more thought. But at the same time, it yields far more fruitful and sustainable results. It enables you to create permanent changes to your operational performance, which will in turn enable you to achieve your goals more quickly and more effectively than ever before. The incredible power of this approach, and its consequent usefulness, lies mostly in its accessibility. It is simple and easy to implement, and is applicable to any industry and lifestyle. If you want to be a part of the 20 percent who succeed—who know why they are succeeding, and thus have the ability to succeed over and over again—then keep reading. If you want the best for your- self, your company, and your clients, with win-win-win results, then keep reading. However, before effectively implementing FAST, it is important to understand it. The purpose of this book is to share the concepts that have helped me climb professional and social ladders, and have helped others climb alongside me. Please, don’t just read this book. Study it. Do the exercises, re- search the anecdotes, and follow the steps of these strat- egies. Once you have immersed these four principles into your own business and your own life, share this knowledge and power with your peers, your team(s), and your friends and family. You wouldn’t have picked up this book if you hadn’t already realized there is another way—a better way—of succeeding. A more effective way, which isn’t based on luck and isn’t built atop a pyramid of corpses. FAST is this tremendously underrated, tremendously competi- tive edge. This path is one upon which you make your own luck, you are your own hero, and your pyramid is made of outstretched arms where people scale to the top by pulling others with them. If you would like to order a copy of FAST its available to pre-order on Amazon here.